The laboratory of microscopy techniques at the Department of Botany was established on December 19th, 2006 as a reference laboratory of Olympus Czech Group, Ltd. Financial support of the Ministry of Education, Youth and Sports of the Czech Republic by the project "Variability of Components and Interactions in Plant Pathosystem and Impact of Environmental Factors on Their Expression" (MSM 6198959215) is greatly acknowledged. 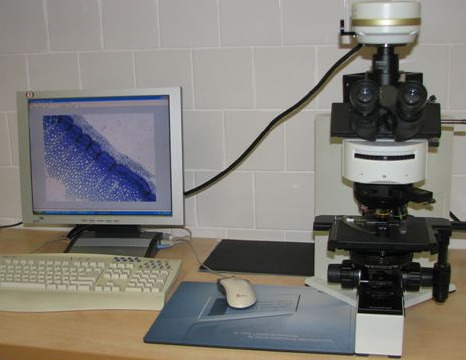 Software for viewing microphotographs in OIB format; for the purposes of installation, contact doc. RNDr. Michaela Sedlářová, Ph.D.. Complete software for 3D/4D imaging and quantitative image analysis. Gomes, A., Fernandes, E., Lima, J.L.F.C. (2006): Use of fluorescence probes for detection of reactive nitrogen species: a review , Journal of Fluorescence, 16: 119 - 139. Hibbs, A.R. 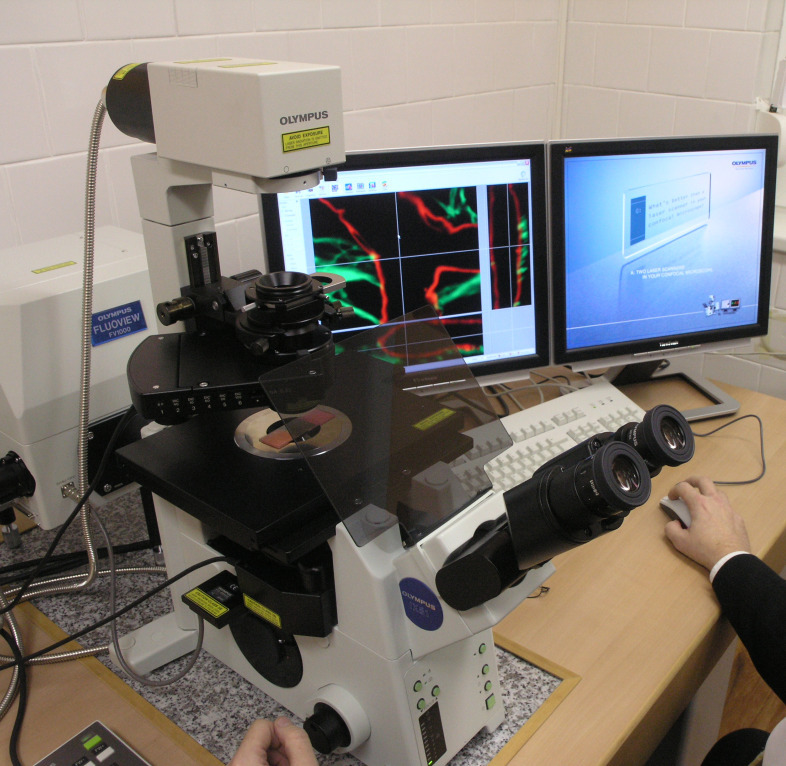 (2004): Confocal microscopy for biologist . BIOCON Melbourne, AUS Springer, 474 p, 27. Pawley, J.B. (ed): Handbook of Biological Confocal Microscopy , Pawley, J.B., 846 - 860, Springer Science + Business Media, New York 2006.